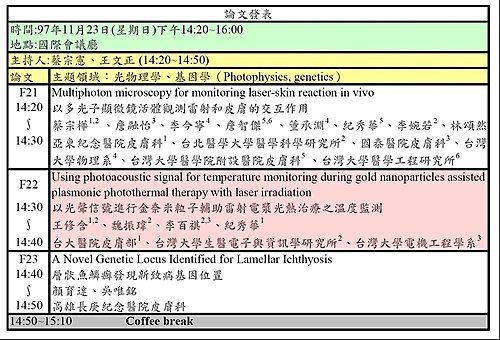 什麼是「雷射電漿光熱治療」(Plasmonic Photothermal Therapy with Laser Irradiation)? Background: Temperature monitoring is essential to safety and efficacy during plasmonic photothermal therapy (PPTT). 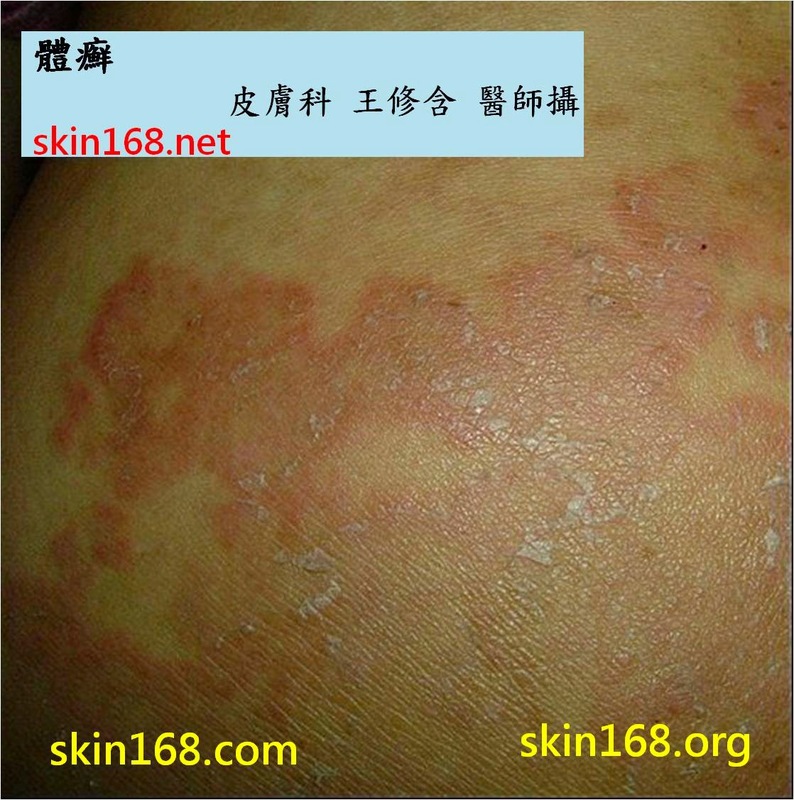 Direct measurement with fine needle thermal couple is most accurate but highly invasive. Non-invasive methods have variable limitations. 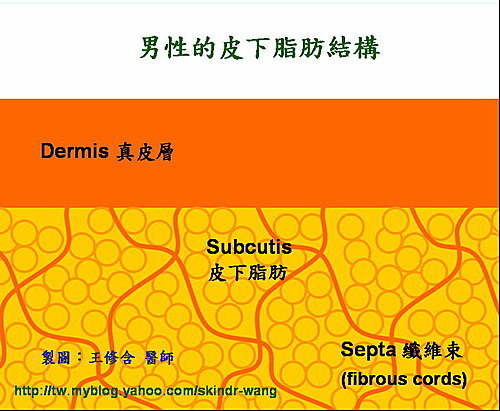 Infrared thermography is limited to superficial surface. Ultrasound suffers from poor accuracy. Magnetic resonance method is time-consuming and expensive. 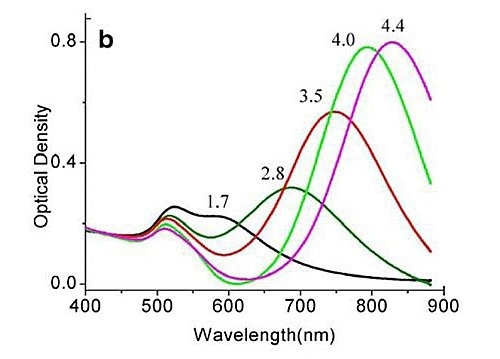 Photoacoustic (PA) signal can approach the dermal structure for real-time image purpose noninvasively, and PA pressure amplitude is proportional to Grüneisen parameter with a linear relationship to temperature. 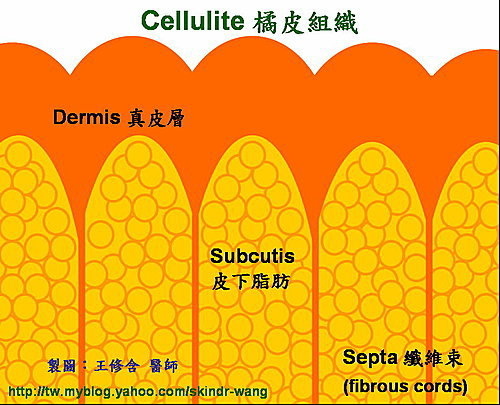 It has potential for real-time measurement of the temperature non-invasively with good accuracy. 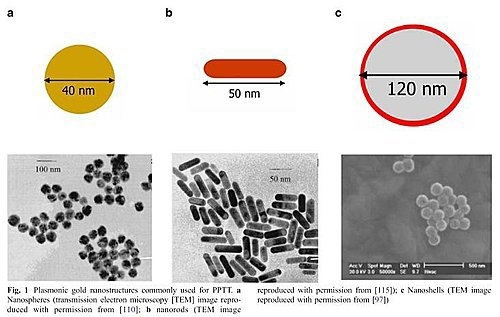 Objectives: PA method was used to monitor the temperature during gold nanorods assisted PPTT with laser irradiation. 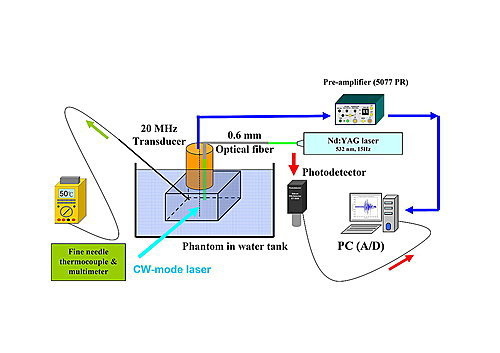 Methods: We designed a home-made transducer (central frequency 20MHz) with a coaxial optical fiber to emit low power 532 nm pulsed Nd-YAG laser and to receive PA signal simultaneously. The phantoms irradiated with CW mode Nd-YAG laser were immerged in a thermal water tank. A fine-needle thermal couple was placed at the region of interest, but not directly irradiated by the laser beam. The PA signal was collected with a pre-amplifier (5077PR) and an A/D card with sampling rate of 200MHz. The data was analyzed with MATLAB® software (figure 1). 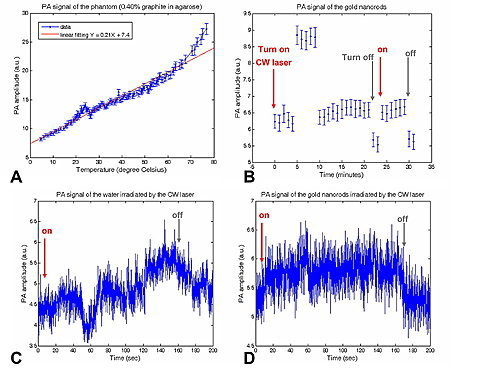 Results: The result revealed that the PA signal was linearly proportional to the temperature with good correlation to the CW laser irradiation (figure 2). 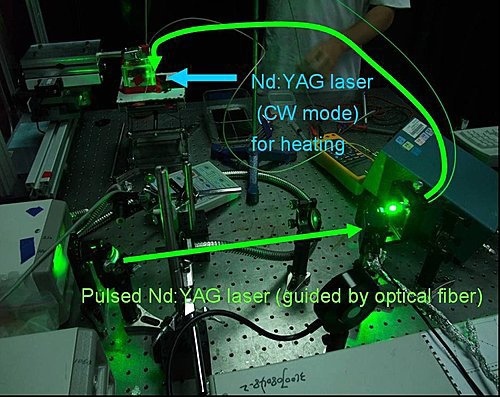 Conclusions: It showed the potential for temperature measurement during PA image, and this setup was applicable to monitor the temperature in our laser-induced plasmonic photothermal therapy system.